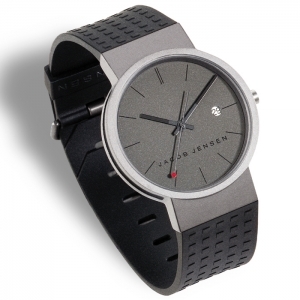 We are an official dealer of Jacob Jensen replacement watchbands. 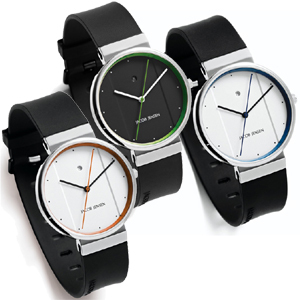 To determine which watchband you need, please check the three-digit code on the backside of the case of your Jacob Jensen watch. 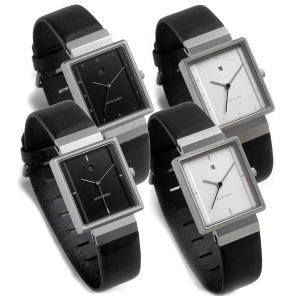 The original 17 mm wide rubber replacement strap for Jacob Jensen watches of series 640, 641, 660, 662, 680 and 681. 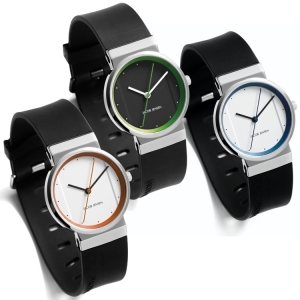 The original 17 mm wide rubber replacement strap for Jacob Jensen watches of series 650, 651, 670, 672, 690 and 691. 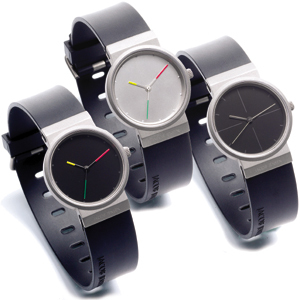 The original 17 mm wide rubber replacement strap for Jacob Jensen watches of series 712, 722, 730, 731, 732, 733, 741, 742, 743, 750, 760. 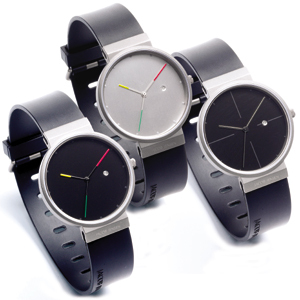 The original 17 mm wide rubber replacement strap for Jacob Jensen watches of series 722, 740, 742 and 743. 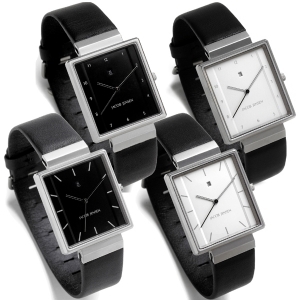 The original replacement strap with blocked pattern for Jacob Jensen series 410, 411, 412 and 414. 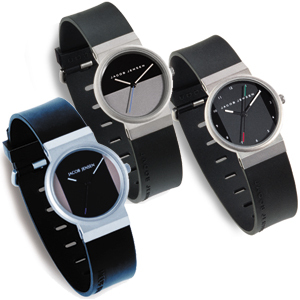 The original replacement strap with blocked pattern for Jacob Jensen series 420, 421, 422, 423 and 424. 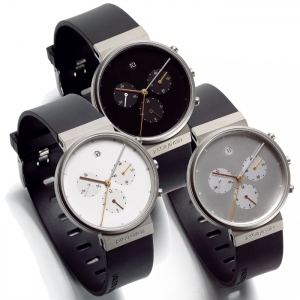 The original 19 mm wide rubber replacement strap for Jacob Jensen chronographs of series 600, 601 and 602. 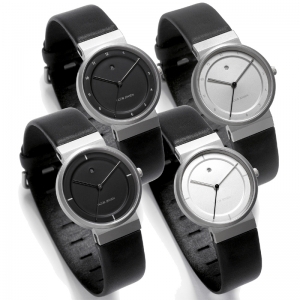 The original 17 mm wide rubber replacement strap for Jacob Jensen watches of series 750, 755, and 757. 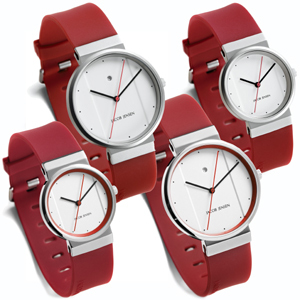 The original 17 mm wide red rubber replacement strap for Jacob Jensen watches of series 751, 756, 761 and 766. 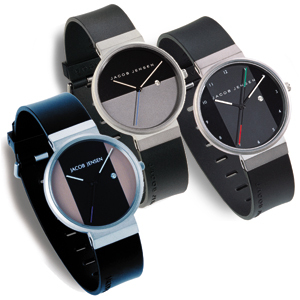 The original 17 mm wide rubber replacement strap for Jacob Jensen watches of series 752, 753, 762 and 763. 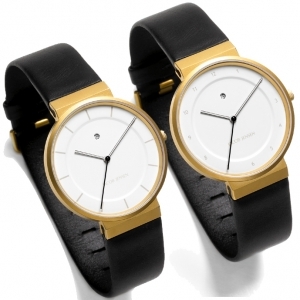 Original replacement watch band for Jacob Jensen watches, made by Jacob Jensen. 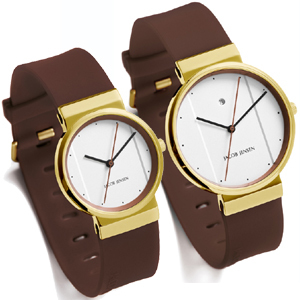 The original 17 mm wide brown rubber replacement strap for Jacob Jensen series 758 and 768. 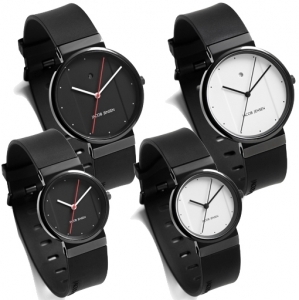 The original black leather watch strap for Jacob Jensen Curve 250 watches. 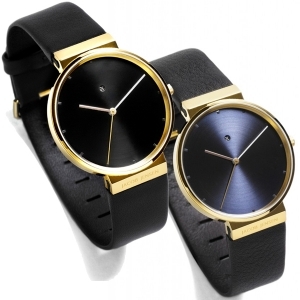 The original black leather watch strap for Jacob Jensen Curve 251 watches. 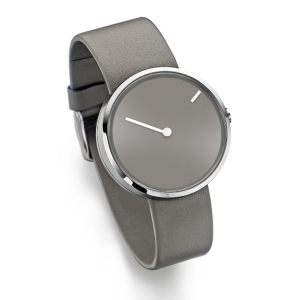 The original gray leather watch strap for Jacob Jensen Curve 252 watches. 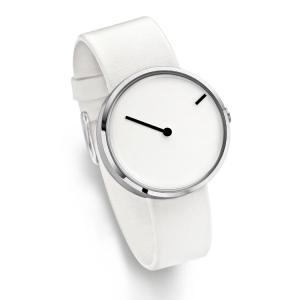 The original gray-white leather watch strap for Jacob Jensen Curve 253 watches. 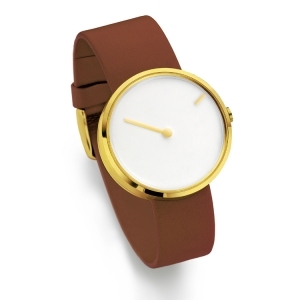 The original cognac leather watch strap for Jacob Jensen Curve 254 watches. The original red leather watch strap for Jacob Jensen Curve 255 watches. 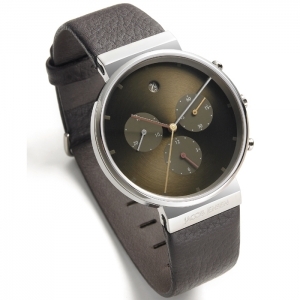 The original 19 mm brown leather replacement strap for Jacob Jensen chronographs of the 604 series. 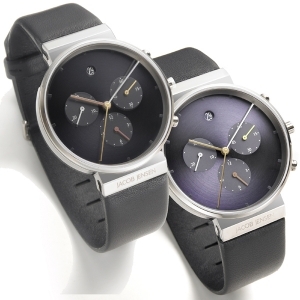 The original 19 mm wide leather replacement strap for Jacob Jensen chronographs of the 805 and 806 series. 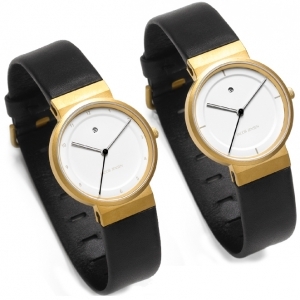 The original 19 mm wide leather replacement strap for Jacob Jensen watches of the 840, 841 and 842 series. 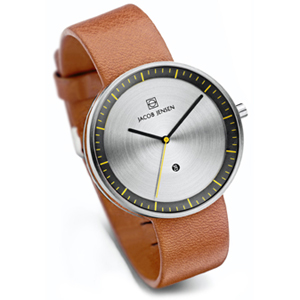 The original 19 mm brown leather replacement strap for Jacob Jensen watches of the 843 series. 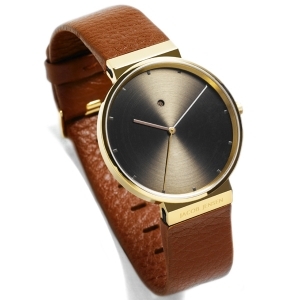 The original 19 mm brown leather replacement strap for Jacob Jensen watches of the 844 series. 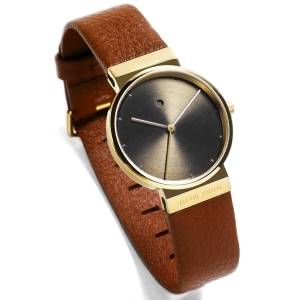 The original 19 mm dark-brown leather replacement strap for Jacob Jensen watches of the 845 series. 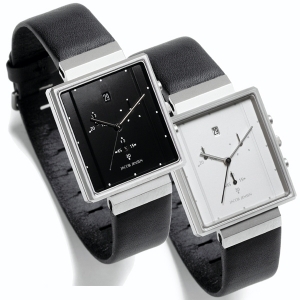 The original 19 mm black leather replacement strap for Jacob Jensen watches of the 846 and 847 series. 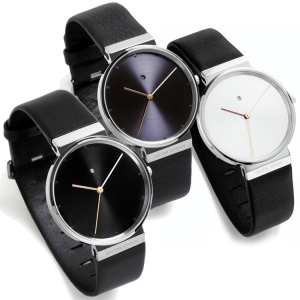 The original 17 mm wide leather replacement strap for Jacob Jensen watches of the 850, 851 and 852 series. 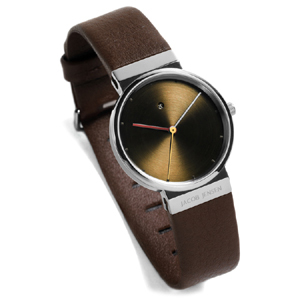 The original 17 mm dark-brown leather replacement strap for Jacob Jensen watches of the 853 series. 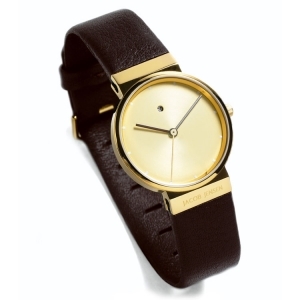 The original 17 mm brown leather replacement strap for Jacob Jensen watches of the 854 series. 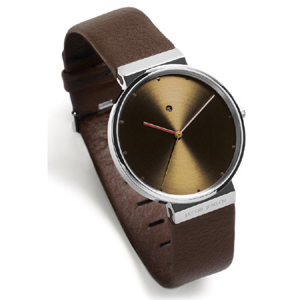 The original 17 mm dark-brown leather replacement strap for Jacob Jensen watches of the 855 series. 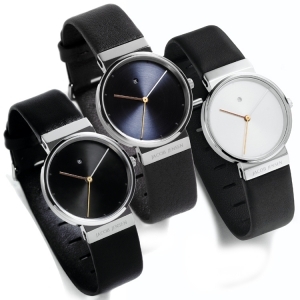 The original 19 mm black leather replacement strap for Jacob Jensen watches of the 860, 861, 880 and 881 series. The original 19 mm black leather replacement strap for Jacob Jensen watches of the 863 and 883 series. 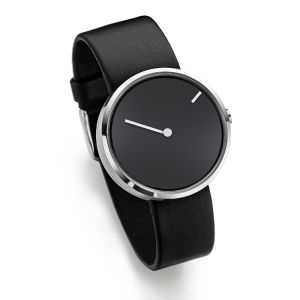 The original 19 mm black leather replacement strap for Jacob Jensen watches of the 865, 866, 885 and 886 series. 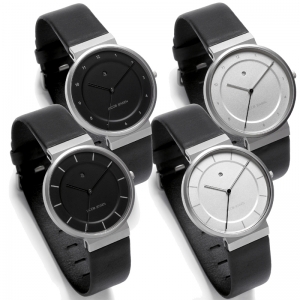 The original 17 mm black leather replacement strap for Jacob Jensen watches of the 870, 871, 890 and 891 series. 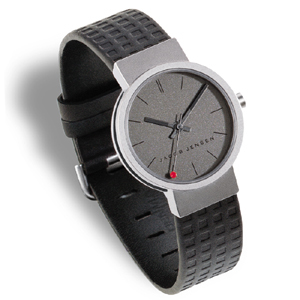 The original 17 mm black leather replacement strap for Jacob Jensen watches of the 873 and 893 series. The original 17 mm black leather replacement strap for Jacob Jensen watches of the 875, 876, 895 and 896 series. 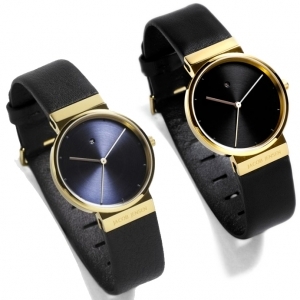 The original black leather watch strap for Jacob Jensen Strata 270 watches. 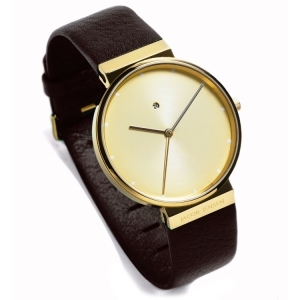 The original cognac leather watch strap for Jacob Jensen Strata 271 watches. The original red leather watch strap for Jacob Jensen Strata 273 watches.